Driven by the vast amounts of data users generate and sensor technology, narrow forms of artificial intelligence may increase their capacity to solve business problems, loosening humans’ monopoly on innovative idea generation. Coming up with innovative ideas may be approached as a function of customer desirability, technical feasibility and financial viability. You can contact Victor on LinkedIn. 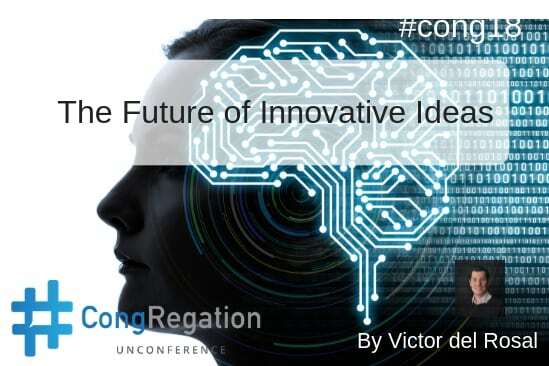 I used to tell students that coming up with innovative ideas was reserved for humans. Nowadays I make sure that I add a clause: “at least for a few more years”. With advances in AI, we may not have a monopoly on innovation. If this seems far-fetched, there are a few examples to draw from. We used to think for example that driving a car was a human-only endeavour. It turns out that autonomous vehicles are much better at it. Similarly, playing—never mind winning—a highly complex game like Go seemed to be out of bounds for humans. In both cases narrow forms of artificial intelligence (ANI) have proved to be better than humans at solving complex problems. Could algorithms come up with innovative business ideas? Could AI “think” of creative ideas to solve real-world problems? Coming up with novel ideas is only one aspect of innovation. Most entrepreneurs will agree that the urgency of the pain point drives innovation. That is, unless you start with a real need, an urgent problem to solve, you will be wasting your time building something few customers would be willing to pay for. 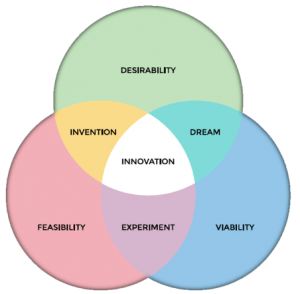 According to design thinking, the sweet spot of innovation is found at the intersection of customer desirability, technical feasibility and financial viability. In other words, innovation is about solving relevant problems, feasibly and profitably. 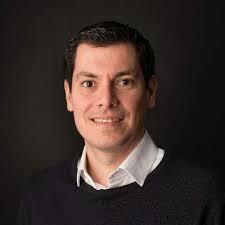 If innovation is approached as an optimisation problem that includes the desirability, feasibility and viability variables, could AI possibly optimise the function and come up with innovative propositions? For the purpose of this thought exercise it will be assumed that the technical feasibility and financial viability could be successfully crunched by AI. That leaves customer desirability. Could AI pinpoint specific customer pain points or needs? The key could be in data streams. Today, our smartphones alone can gather copious amounts of information. A mid-market smartphone nowadays typically includes a magnetometer, GPS, gyroscope, accelerometer, proximity sensors, barometer, light sensor, fingerprint scanner, air humidity sensor, camera, microphone, heart rate monitor, pedometer (step counter), thermometer. The creative analysis of information from these sensors can generate highly useful insights. And as sensors become more sophisticated and wearable tech gains more traction it could be argued that this avenue of data ingestion will get bigger and more useful. A simple example of how these sensors produce insights today is demonstrated by Google Traffic. If you zoom in at the street level in some cities you will be able to see streets coloured in red, orange, or green, depending on how busy a street is. What may not be so evident is that these colour codes are generated by analysing the GPS locations sent to Google by swarms of mobile phone users. In other words, we provide the sensors. If a lot of us are moving very slowly in traffic, this will be reflected on Google Maps. Imagine that in addition to full access to sensor data we also give our phone permission to actively listen to conversations and to glean insights from anything we write (which we already do). Finally let’s say that we grant an algorithm the permission to offer us a product or service that would satisfy a need in a specific moment of need. Amazon has patented an idea related to this. Amazon is exploring a predictive fulfilment model whereby an order would be shipped to your doorstep before you even know you want to order it, based on your purchase history and multiple other data points. Amazon has patented anticipatory shipping to ship you a product before you buy it. They reckon that, if they get their predictive algorithm right, they should know you well enough so that you will like what they send your way, only rejecting a miniscule amount of packages (you would be able to return or perhaps keep unwanted items at no cost to you). This general approach could be called AI-driven (customised/ ad hoc) flash innovation whereby solutions could be offered to individual users or to a limited number of users who share a particular pain point. But again this would depend on the correct assessment of pain points based on what algorithms can glean and would, at first, not be able to understand the complex variety of verbal and non-verbal human communication, among other complexities. As with any startup idea, algorithms would test relatively simple business ideas limited to narrow contexts of low complexity. If these experiments go well, AI could move on to more sophisticated exercises leading to business models where users’ needs are assessed and fulfilled in a growing variety of settings. This could mean that, in some limited settings and under certain conditions, humans would no longer need to come up with innovative ideas, AI would. Coming up with innovative ideas, aka the game of innovation, will surely remain for a long, long time one of humanity’s favourite endeavours. The question is, to what extent will AI also play the game?